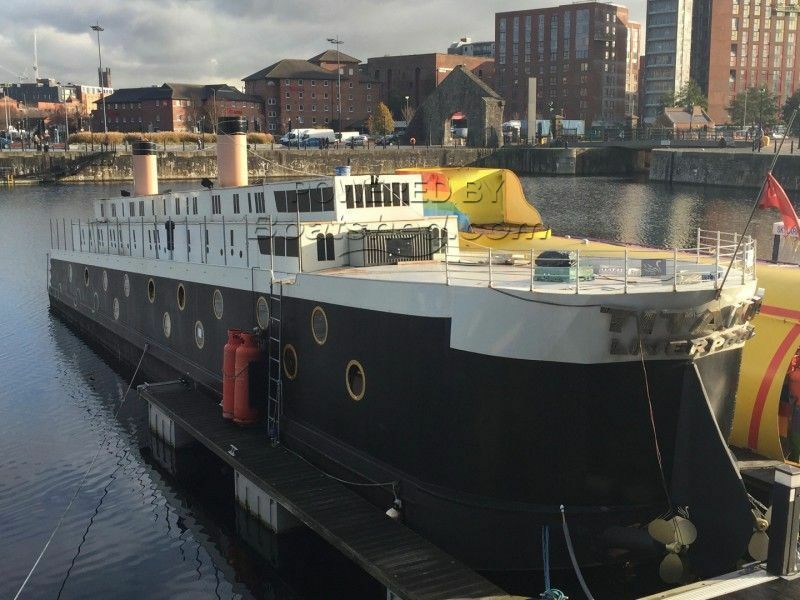 Wow this must be the most fantastic apartment/hotel boat in the world which sleeps up to 9 with 3 bedrooms crystal chandeliers, even the floor has been copied from the original 1st class lounge on the original titanic. A 52 TV, Sky HD, Blue Ray, all sport and films, all bedrooms en suite, with TV and DVD player. The boat could be transported anywhere in the world if necessary. This Wide Beam Hotel Boat 70ft Business/Houseboat has been personally photographed and viewed by Paul of Boatshed Lancashire. Click here for contact details.